Yesterday, MediaCorp’s flagship English publication, TODAY Online, published an article entitled “Singaporeans cancel CNY shopping trips to Malaysia as disputes drag on”. The article seemed to indicate that the disputes between Singapore and Malaysia have irked locals so much that they are boycotting and cancelling their trips to Malaysia. The writers, however, only interviewed two Singaporeans. One of them is an Residents’ Committee (RC) chairperson while the other interviewee is a member of another RC. RCs are associated with the People’s Association (PA), which is linked to the ruling People’s Action Party (PAP). The PA falls under the purview of the Prime Minister’s Office. The Prime Minister of Singapore, Lee Hsien Loong, is the secretary-general of the PAP. It is curious to note that although the article is published on TODAY, it is written by The Malaysian Insight. The Malaysian Insight article cites Malaysian Chinese-language publication Sin Chew Daily as its source. The article says that “community groups in the city-state” have been cancelling their annual shopping tours ahead of Chinese New Year due to tensions over the maritime and airspace dispute between Singapore and Malaysia. The article interviewed only two Singaporeans to support this claim: Sengkang Rivervale RC chairman Liao Liyun and Yishun RC member Li Meihua. Liao Liyun cited “security concerns” as the reason why the shopping tours were cancelled while Li Meihua said that the shopping trips were cancelled in a bid to boycott Malaysian retailers. She further claimed that her residents found that Malaysia’s behaviour was “not friendly and they do not want to go shopping there”. If the article was meant to highlight that RCs are cancelling their shopping tours to Malaysia, it is strange that the article’s headline broadly announced that “Singaporeans” are cancelling their trips to Malaysia. 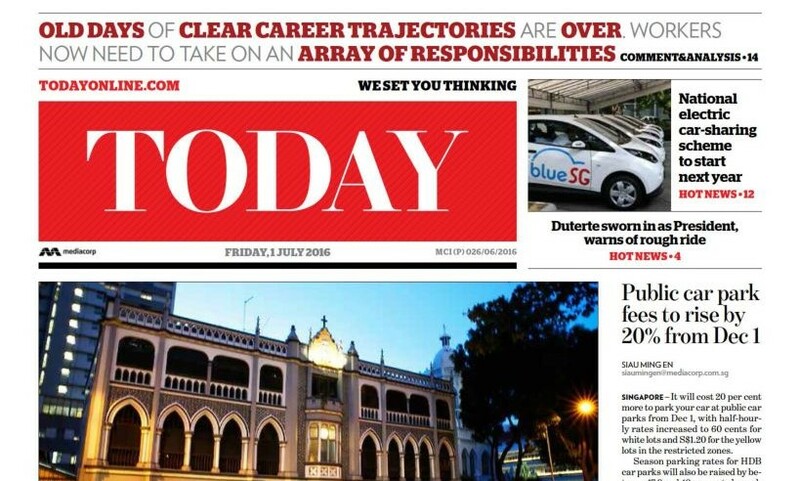 If the article was meant to highlight that Singaporeans are cancelling their trips to Malaysia over the ongoing disputes, it is curious that the article would only interview RC members associated with the PA. In any case, a quick look at the heavy traffic jams between Singapore and Malaysia during the holiday periods may easily dispel these suggestions that Singaporeans are boycotting Malaysia.